Mojang released a new update for Minecraft 0.16.1 on Pc and Pocket Edition. 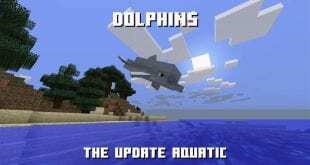 This new update 0.16.1 on Minecraft, will fix some bugs and will give the players better gaming experience. On PC version you can now play with Xbox Live friends and at the same time, you can use Xbox controller, touchscreen keyboard. In addition, you can also take screenshots using GameDVR. The performance of the game is with a lot of improvements. You have more space for longer localized text. You can delete the world & save a resource pack if the path is with UTF-8 characters. A crash caused by some splash potions generated through splash commands is fixed. Inventory slots are with an update. Game crash when renaming a map. The crash when you create a new world will not cause you problems anymore. Minecraft Pocket Edition was first time released for Android, back in August in 2011. After few months, iOS owners get the chance to play Minecraft. Three years later, Windows phone owners got a chance as well to play the game. Now, since this update 0.16.1, the boss works perfectly again on Lumia 530, but not on 520. Hopefully, these issues will take place in the next Minecraft update. Now, you can download the latest update 0.16.1 on your app store. At this moment, there are almost 1 million players on Minecraft. With this update 0.16.1 and all the bug fixes, the game feels refreshed. 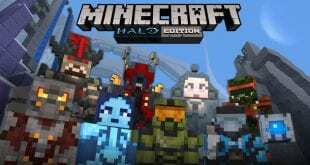 This is the second time for Minecraft to get a new content in only 2 months. I’m expecting more news for Minecraft before 2017 and a fresh start in the same year. Until the new update, stay with us and we will keep you informed.